The BL&S team brought expertise in producing high quality sound in reverberant spaces such as this. Doing so was particularly challenging in this case because there was no obvious place to hang speakers or speaker wiring. The BL&S team worked closely with site electricians to find creative pathways behind walls and around moldings. In this way, they were able to provide high-performance sound, without disturbing the aesthetics of the room. In addition, the existing projection room had been used primarily for spotlights, so it needed retrofitting for digital cinema. To do so, BL&S provided a new port window to center the projection on the screen, and engineered a custom optical mirror system to accommodate the unusual projection angle. Home to the Chattanooga Philharmonic, this active theatre space is primarily used for theatre productions and rock concerts, so they needed a versatile stage system that could be “pipe clean” for live events, and then reconfigured for movie showings as needed by stagehands. To facilitate this, BL&S encased the screen in a flying truss that can be lowered onto custom dollies and rolled away as needed, and built custom rigging so that the loudspeaker clusters could be re-installed back in the precise places they belong in to deliver optimal sound. To further accommodate the empty grid requirement, the new screen’s side masking tracks, motor and carriers were integrated into the top of the screen case, so that only the curtains and cable disconnects would need to be removed and stored after movie showings. This helped minimize labor involved with converting from cinema presentations to live events. 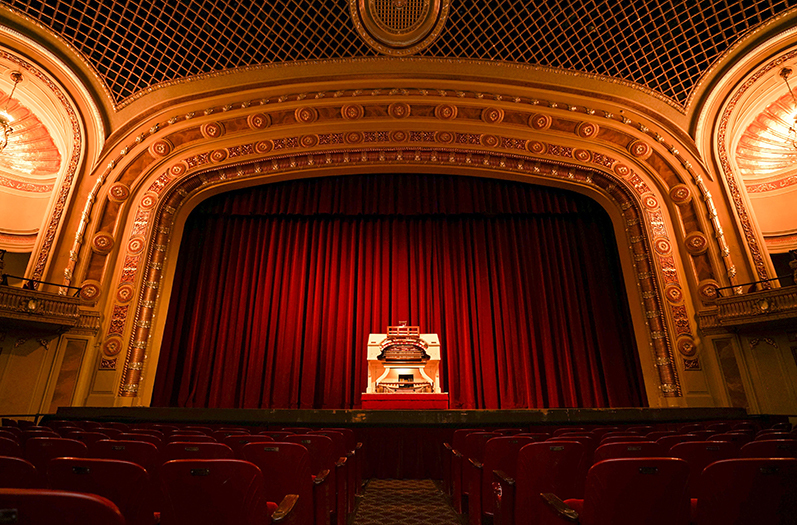 After the installation was complete, the foundation held the Bobby Stone Film Series, named in honor of Chattanooga native and Tivoli Theatre Foundation Director Emeritus Bobby Stone, who brought an expert eye and passion for film. The new digital cinema experience received rave reviews from the foundation and movie patrons. The Dundee Theater in Omaha first opened in December 1925, in the era of silent films. 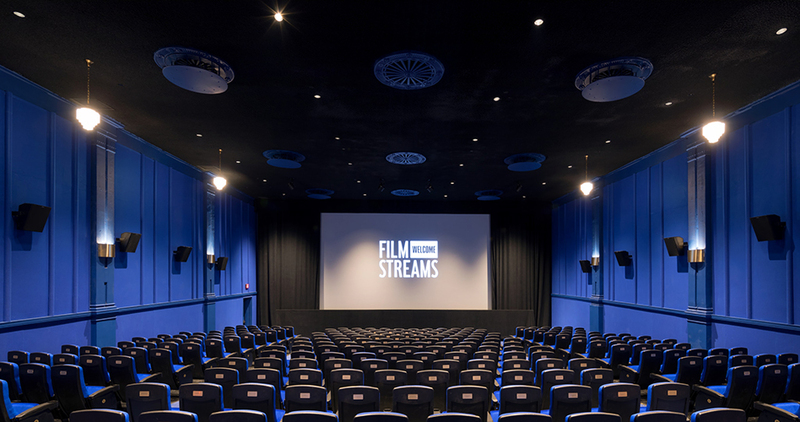 Following an incredible gift of property from the Sherwood Foundation in 2017, Film Streams took over ownership of the historic theatre, saving it from shuttering and embarking on an ambitious renovation and expansion project. Omaha’s longest-running cinema now features two screens: the historic 300-seat Peggy Payne Theatre for feature films and the new 25-seat Linder Microcinema for more experimental art films. in the renovation, including installing new audio, film, and digital cinema systems for both theatres. 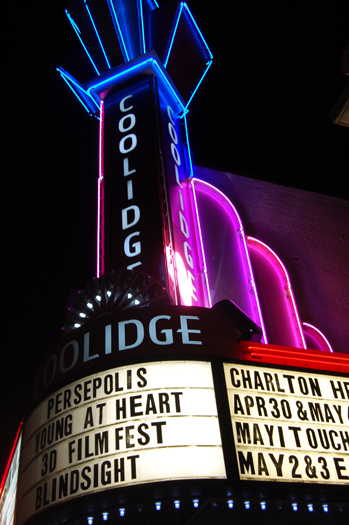 For the Peggy Payne Theatre, Film Stream wanted the ability to run dual 35mm film projectors as well as digital cinema. For the Linder Microcinema, they were looking for the option to run 16mm film and digital cinema. BL&S worked closely with the theatre’s architect to ensure that the theatres were acoustically correct. This involved constructing a sound-absorbing baffle wall behind the screen as well as specially designed wall cutouts where speakers could be installed. These extra steps vastly improve the intelligibility of movie dialogue. 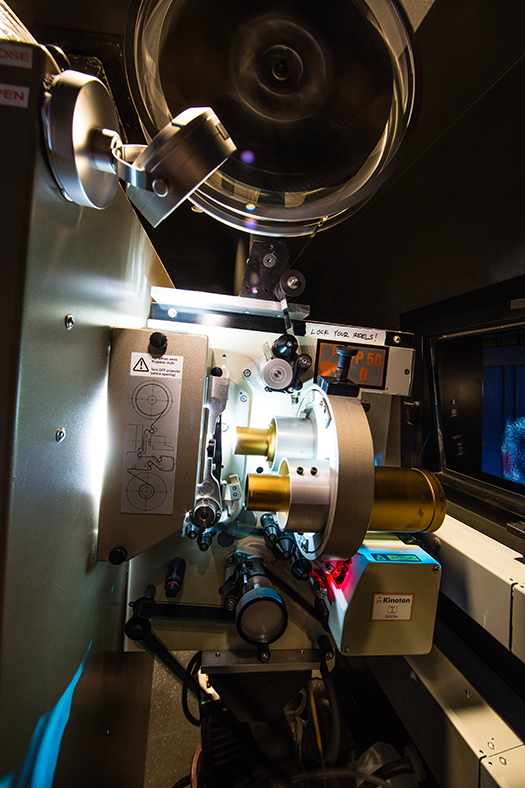 The tight space of the Linder Microcinema projection booth made it impossible to install both film and digital equipment, so BL&S did what it does best: Designing a custom solution from scratch. The BL&S team crafted a custom sliding track system made of steel tubing that would enable the theatre to easily switch between 16mm film and digital cinema. 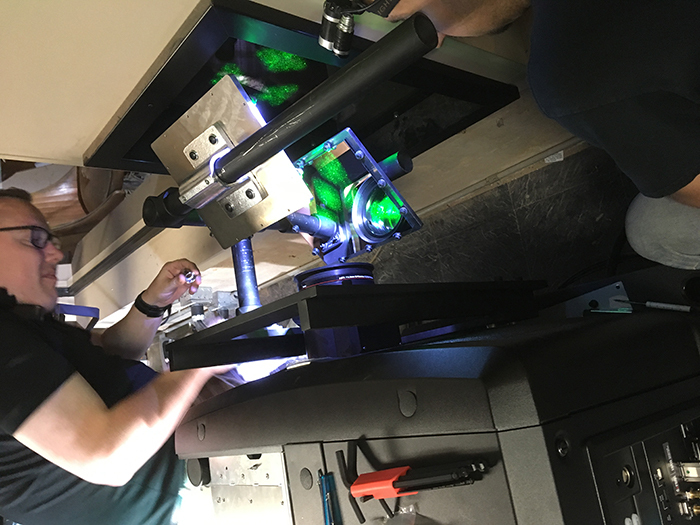 Through careful calculations, the team was able to create a system that a projectionist could use to elegantly move between the 16mm film and digital cinema, and ensure that the systems were placed in just the right spot in the theatre. BL&S built the sliding track system at their shop in Brighton, MA, carefully packed it and transported it to Omaha, and installed it along with the rest of film, digital cinema, and audio equipment. This involved carefully bolting the track system to the walls so that it was suspended in air. The Dundee Theatre reopened in December 2017 to rave reviews from film aficionados. Film Streams has been extremely pleased with the presentation and sound in the new theatres. In addition, with the new accessibility equipment in place, the theatre is already compliant with new ADA guidelines to improve accessibility for visually- and hearing-impaired moviegoers. 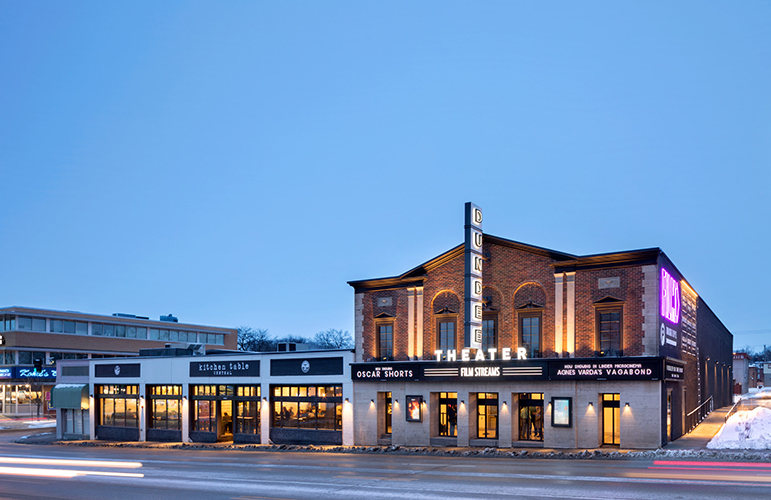 The Lyric Theatre had long been a center of Harbor Springs, Michigan, featuring films since 1926. However, the theatre closed down in 1981. Roger Blaser had fond memories of seeing shows in the original theatre, and set out to build a new theatre one block away from its namesake. When it came time to consider who would handle the audiovisual work for the new theatre, there was no question in the theatre owners’ minds that they wanted Boston Light & Sound (BL&S) to lead the charge. The BL&S team handled the complete fit-out, including the design and installation of the digital cinema projection systems, including alternate content capability, audio systems, and projection screens, as well as stage lighting and 4K digital cinema in the main auditorium. The Lyric Theatre programs include first-run films, documentaries, independent films, foreign films, and children’s matinees. The venue also is used for lectures as well as special acoustic performances. 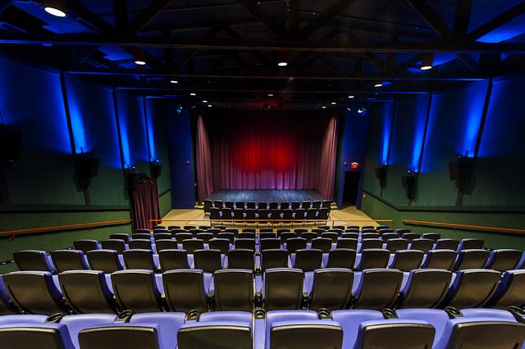 The new theatre encompasses three screening rooms of different sizes and visual themes. 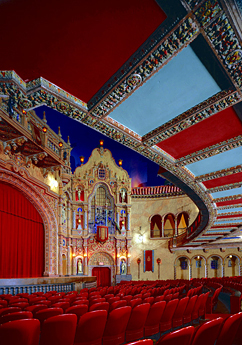 In the main theatre, the elaborate décor includes a ceiling designed to represent the northern Michigan sky, featuring 13 constellations and 35,000 stars. 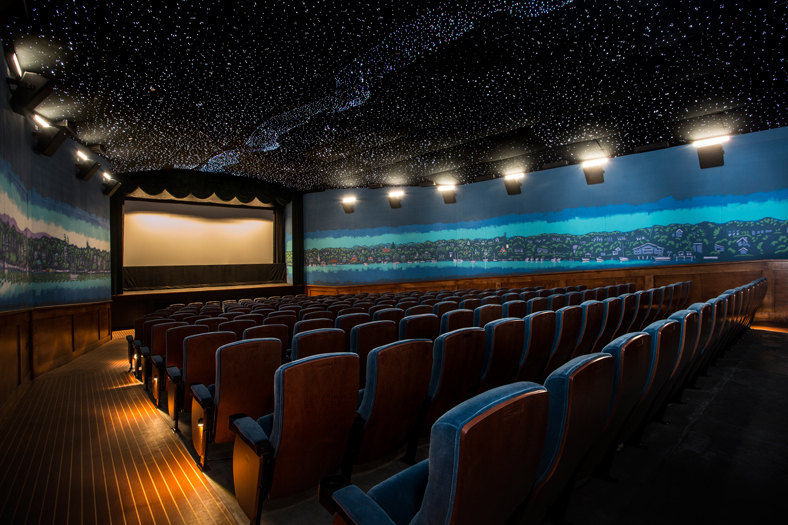 Each of the three screening rooms features elaborate murals. It was important for BL&S to install new projection and sound systems in a way that wouldn’t detract from the beauty of the interior. To do so, the BL&S team worked with the theatre owners to understand their vision, and designed the projection and sound components to fit seamlessly within the theatre. BL&S coordinated the work from Boston, which added another element of challenge to the project. 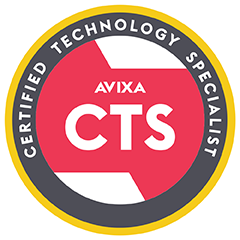 However, the team is accustomed to installing equipment in locations all around the world, and was not to be deterred. The team coordinated their schedules around tradesmen and the artists working in the theatre. They also pre-built and tested equipment in their in-house shop to ensure it worked properly before delivering it to the site. The theatre owners were thrilled with the BL&S team’s work under a tight timeframe. They’ve received numerous compliments from supporters and fans about how elegantly BL&S designed the systems to work within this unique venue. Even better, they found it provides an outstanding cinematic experience. to show legacy prints. They faced several limitations, and needed a way to integrate the latest technology without taking away from the room’s ornate decor. Additionally, there was limited space to incorporate digital cinema alongside the dual 35mm film projectors. The theatre was also looking for a creative way to make this upgrade in a cost-effective manner with minimal disruption to their performance schedule. To smoothly integrate digital cinema, the theatre hired Boston Light & Sound (BL&S)—a company well known for its innovative approach to designing and installing digital cinema and film projection systems. BL&S faced an unusual challenge. The only way to conceal the digital projector was to install it in the existing projection booth, yet it was next to impossible to display digital cinema images through the small film port window. Since the booth is high in the balcony, the digital projector could not be tilted the same way the 35mm film projectors can. Fortunately, the BL&S team found a creative solution. 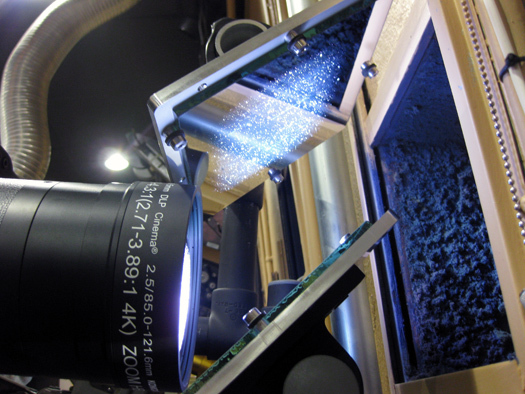 They installed a new Christie CP-2220 Digital Cinema projector, and created a periscopic mirror arrangement to reflect the digital cinema images from a mirrored lens onto the screen below. This way, they could incorporate digital cinema capabilities without making major changes to the room. To optimize the picture quality, they also needed to prevent the mirror array system from vibrating. Any vibrations would cause jittery images on the screen. To keep images stable, BL&S fabricated a projector frame and affixed it tightly to the projector. 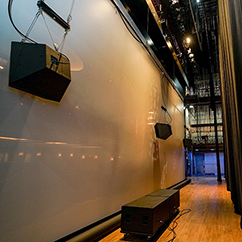 BL&S then installed a new, high directivity screen channel loudspeaker array behind the screen, precisely directing sound to every seat in the house, while minimizing reflected sound in an already reverberant auditorium. They enhanced the surround sound field, providing discrete channels that did not previously exist. To help keep the costs of the project down, they were able to use existing speakers for the bass, while replacing the mid- to high-range speakers that have more of a bearing on voice intelligibility. This provided 5.1 surround sound with improved audio quality. 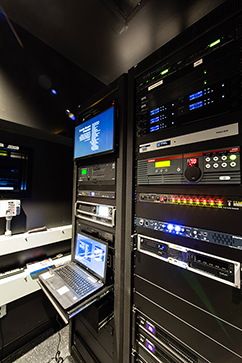 To give the theatre added flexibility, BL&S installed an audio processor that is capable of accepting signals from everything from legacy analog AV sources to digital AV sources such as Blu-ray. The BL&S team also custom designed an input panel, making it easy to adapt to film festivals, corporate meetings, and community presentations. 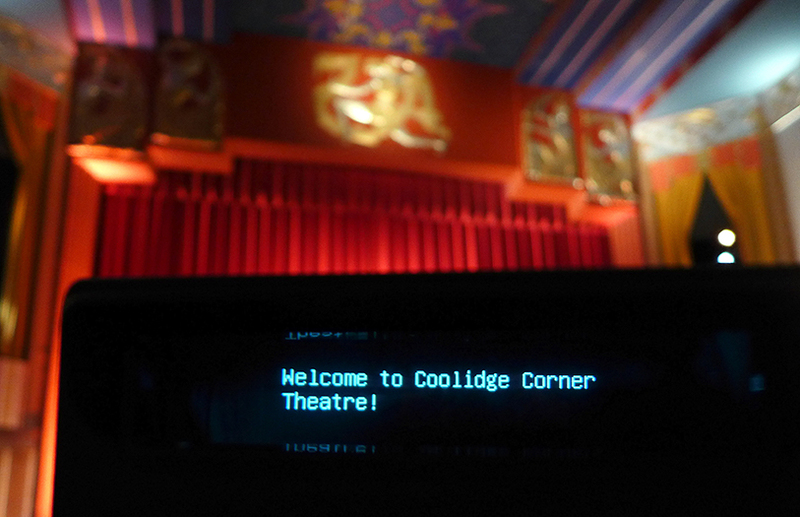 The system supports auxiliary or guest inputs, giving the theatre the flexibility to present nearly any input signal. For example, they can easily jack-in occasionally used sources such as HDCAM and rental decks, rather than purchasing expensive, yet seldom used equipment. 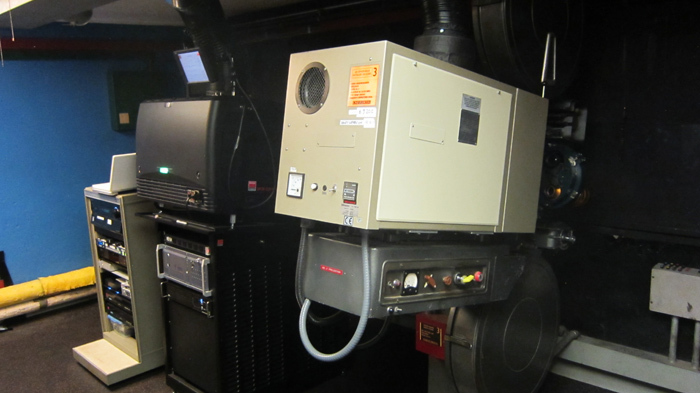 BL&S was able to install and configure the new equipment while keeping the 35mm film projectors running. This way, the theatre had no interruption in its show schedule during the digital cinema installation. 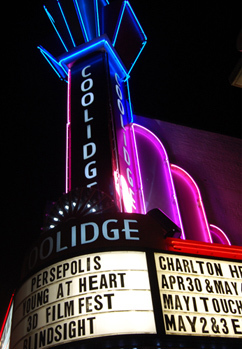 The renovated theatre opened to rave reviews. Theatre owners and theatregoers alike were thrilled with the result. Our patrons are very pleased. The Martha’s Vineyard Film Society, Inc. is a member-funded, non-profit arts organization dedicated to screening the best in independent films, movie classics, documentaries, and world cinema. Last year more than 12,500 patrons joined them to watch 70 different films. Vineyard, the society began an ambitious fundraising campaign to create a theatre of its own. After hearing Boston Light & Sound (BL&S) present on a panel at the Sundance Film Festival about achieving optimum image and sound quality from digital cinema systems, they reached out to the firm to design their new system. To create a gathering place for the island community, the society also wanted the new theatre to support multiple presentation formats, including digital cinema and HD video sources commonly used in independent film venues such as Blu-ray DVD, HDCAM, computer content, etc. In addition, to protect donors’ generous investments to the new theatre, the society was looking for a presentation system that could easily adapt to their future needs. Thanks to generous donor support, the society was able to build a new theatre to meet its needs. BL&S needed a creative approach to installing the DCI-compliant digital projection and 7.1 surround sound system into the new space. Unlike a typical theatre with a traditional film projection booth, the theatre had limited space for equipment. Additionally, the digital cinema and audio equipment needed to be installed in a way that wouldn’t detract from the theatre’s elaborate decor. 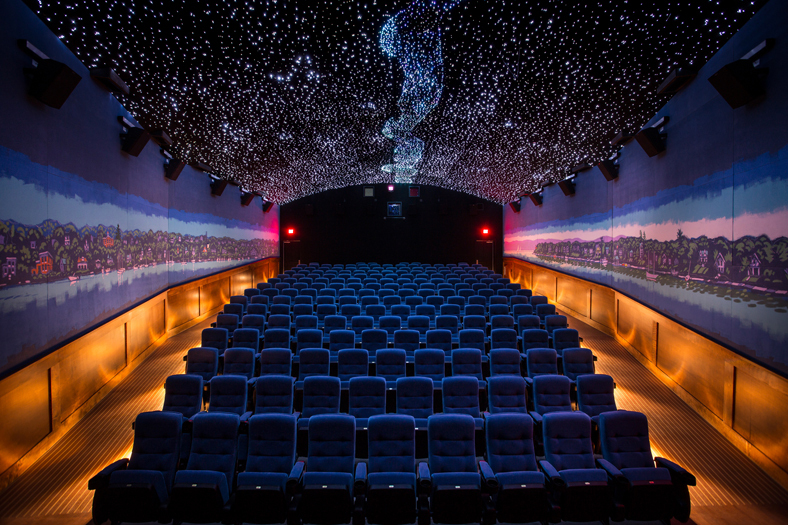 To solve these challenges, BL&S custom-designed a ceiling enclosure for the digital cinema system, complete with remote controls, and planned access for ease of maintenance. To help keep the digital cinema system running smoothly, BL&S designed the enclosure to provide proper ventilation that keeps the equipment cool without making any noise that would otherwise disturb the audience. They then incorporated surround speakers right into the theatre’s decorative pillars to hide unsightly wires and components. 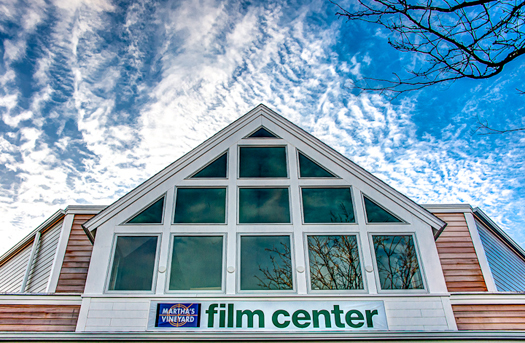 Independent film exhibitors like the Martha’s Vineyard Film Society often work with alternate video content. For these needs, the BL&S team designed and installed a presentation and audio system that supports multiple formats, carefully tuning the system to optimize audio-visual quality. In addition, they installed a front-house curtain that moves along a curved track to conceal the screen during live music presentations or lectures. For further ease of use, they provided an intuitive touchpad. Theatre staff only needs to choose the source (i.e., digital cinema, video, etc.) and any format switching is done automatically. For greater convenience and mobility, BL&S also installed Crestron Control, making all controls available via a dedicated panel or iPad from anywhere in the theatre. In addition to designing and installing the digital cinema system, BL&S worked closely with the building architect and multiple trades, including HVAC professionals and electricians, to ensure that the design intent was carried forward. This helped the project come together seamlessly. BL&S specified a scalable digital cinema system as well as upgradable switchers that give the film society the flexibility to upgrade to future capabilities such as 4K and higher frame rate content. This ensures they won’t need to redesign their presentation system as the theatre’s needs grow. As with many theatre projects, there was a short timeline to complete the job. BL&S worked furiously through the summer to ensure the system was completed in time for the Martha’s Vineyard Film Festival in September. They put it all together for us, perfectly. 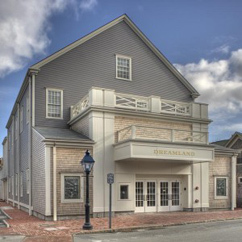 One of only two theatres on the island of Nantucket, the original Dreamland Theatre was carefully deconstructed in 2009, preserving important historic elements. It was rebuilt in 2012 using some of its original characteristics while bringing the structure into the 21st century with state of the art technology and systems. The board of directors for the Nantucket Dreamland Foundation had a vision to bring digital entertainment and education to Dreamland while retaining its historic significance as one of America’s oldest theatres. 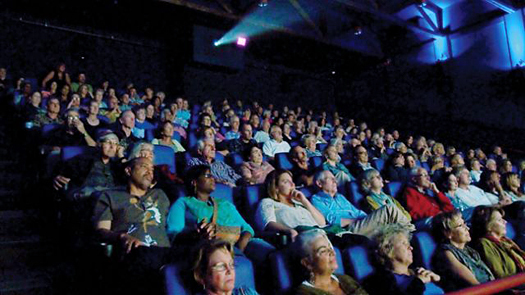 The facility includes the 318-seat Founders Hall, designed to provide everything from first-run movies to presentations, plays, and live musical performances; and the more intimate 100-person Studio Theatre, designed for smaller movie screenings (indies, documentaries and foreign films), as well as special events. The foundation turned to Boston Light & Sound (BL&S) to deliver exceptional audio and visuals that worked in harmony with the theatre’s historic architecture. The BL&S team enthusiastically signed on to the project, designing and installing digital cinema capabilities, presentation systems, a PA system, and more for the unique space. This would not be an easy project, however. BL&S had just two months to complete the installation work, with many physical constraints. Transporting all the equipment, tools, vehicles, and crew to the small island required a good deal of coordination. The team also needed to find inventive ways to fit new equipment into a small footprint. Additionally, they were performing the installation without the luxury of elevator service or permanent electricity. Not to be deterred, the BL&S crew hand lifted heavy equipment into the theatre. They then hired a crane so they could install a 400-pound screen on the second floor of the theatre. Founders Hall is designed to present everything from first-run movies to lectures, concerts, and more. The BL&S team installed a top-of-the-line Christie Digital Projector and Dolby 7.1 sound system to provide exceptional audio and visual experiences to theatregoers. To accommodate multiple format and presentation types, they custom designed and installed a motorized 24-foot wide screen and masking system, providing maximum versatility for the space. 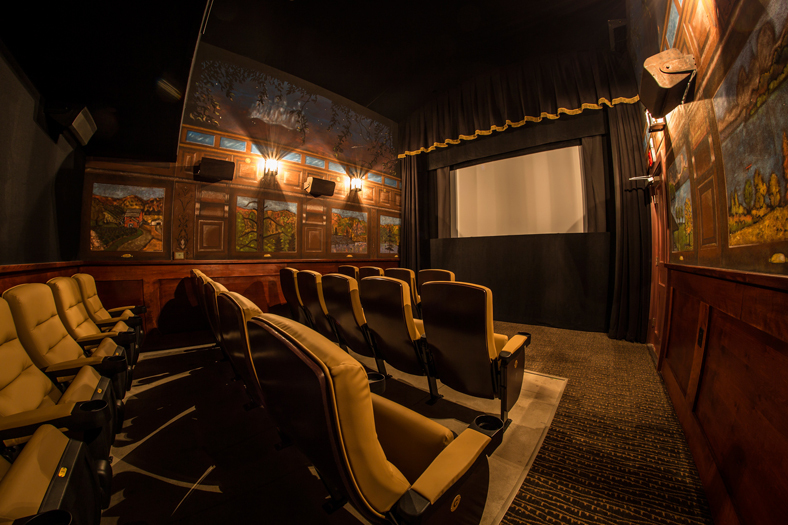 This 1,932 square foot multi-function room serves as a second screening room for first-run movies in the height of the season and independent films year round. In addition, this room highlights the historic elements of the original Quaker Meeting House, including trusses, re-purposed floorboards, and original windows. BL&S installed a new digital cinema system, a 17-foot motorized screen, as well as a full 5.1 surround sound system, mics, and associated equipment to accommodate various presentation types. Working around the theatre’s historic architecture required creative thinking. The theatre’s open beam ceiling meant equipment couldn’t be hidden there. To solve this problem, the BL&S team worked closely with theatre architects, designing a custom cabinet to house projection equipment and cables. They were able to provide advanced functionality in a way that seamlessly integrated with the theatre’s aesthetics. The BL&S team’s hard work paid off, bringing presentation capabilities beyond what the Foundation expected. BL&S screened movies for Foundation members and theatre employees, giving them a preview of what was to come. All agreed that Nantucket’s Dreamland has been transformed into a world-class cinema. 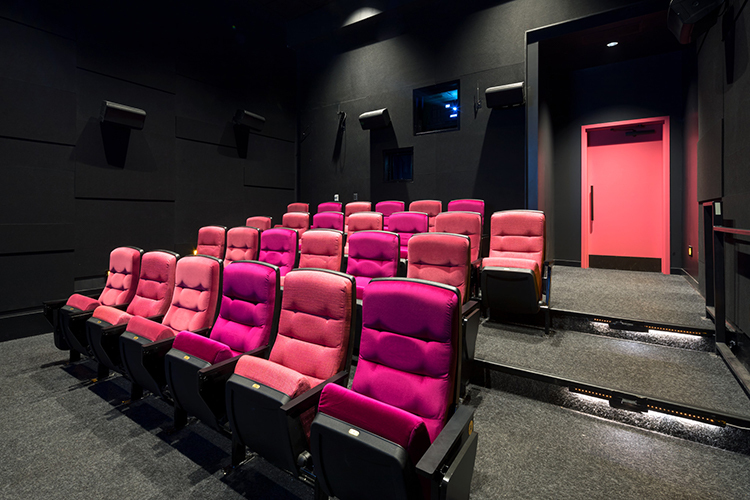 Located on the Trinity College campus, Cinestudio is a popular destination for classic and independent film enthusiasts. They’re known for presenting rare foreign films, limited print archival footage, as well as new independent movies. 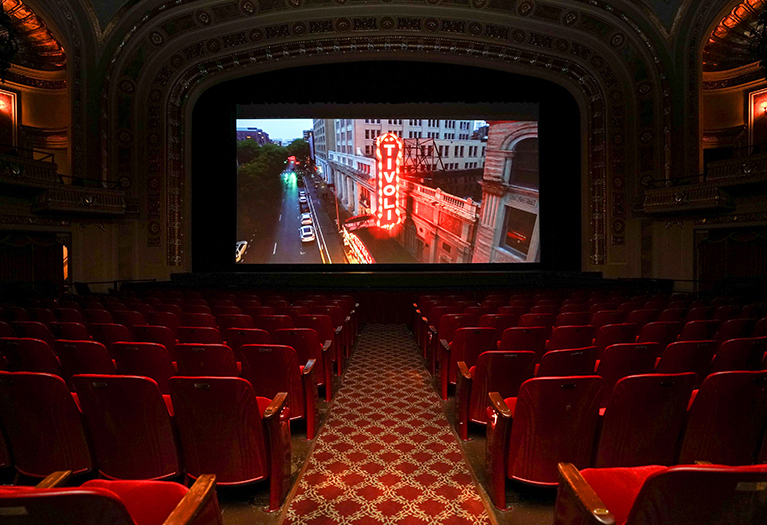 The theatre wanted to add digital cinema to augment its 35mm and 70mm film presentation capabilities. they wanted technology that would provide the audience with the best picture quality. Boston Light & Sound (BL&S) recommended a 4K digital cinema system with an integrated media block. This would give Cinestudio state-of-the-art digital image resolution, as well as the freedom to adapt to higher frame rates in the future. BL&S integrated digital cinema system into the projection room, mixing film and digital through the same sound processor and amplifiers. This makes it easy for the theatre to switch between movie formats as needed. The BL&S team also added preview capabilities so they can switch between film and video seamlessly, and preview the video content they’re about to send to the screen. This allows for a seamless transition from video image 1 to video image 2. BL&S added more flexibility to the environment. For example, most theatres find it time-consuming and expensive to accommodate equipment for special events. 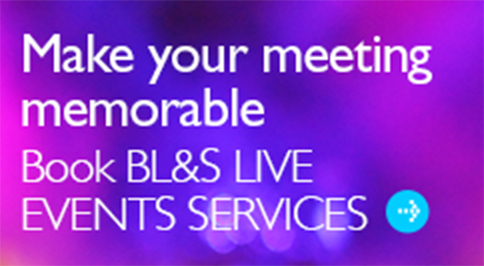 To resolve this challenge, BL&S set up an intuitive guest panel that makes it easy to “plug and play” a wide variety of video formats. 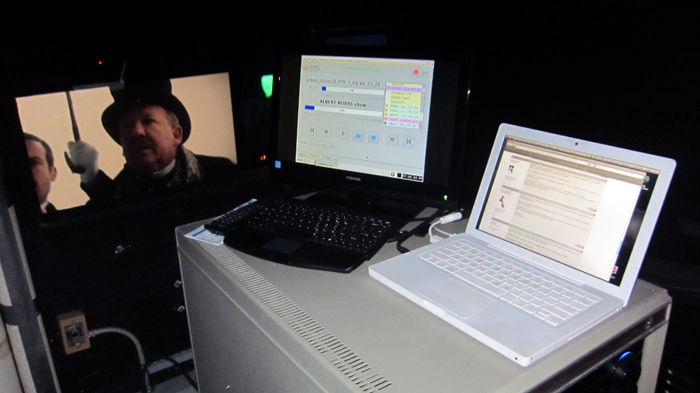 In addition, they automated digital film presentation, enabling the theatre to control digital content remotely via wi-fi connection. Cinestudio has been very pleased with the results. They now have a way to present digital cinema, and can easily scale the system as new technology emerges. “For more than 40 years, our serious film fans have come to expect the very highest standards of cinema at Cinestudio, so there was only one place to go for our 4K digital cinema installation – Boston Light & Sound! To improve accessibility for visually- and hearing-impaired moviegoers, the Department of Justice ruled that movie theatres need to provide access to closed captioning and audio descriptions whenever showing a digital movie that was produced, distributed, or otherwise made available with these features. The ADA compliance ruling left many theatres unsure about how best to move forward with meeting the requirement to comply by 2018. 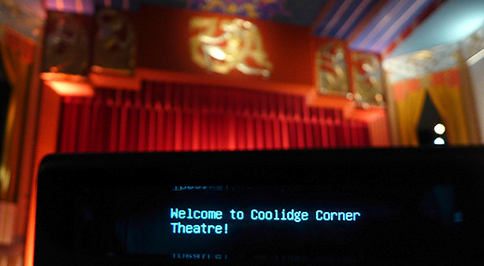 Coolidge Corner Theatre in Brookline decided to take the lead on improving accessibility by partnering with Boston Light & Sound (BL&S). of their cinema sound and projection automation systems, they chose BL&S for the job. Installing equipment to support such diverse product can be challenging; each theatre had two projectors, so the automation systems and sound systems required customization. 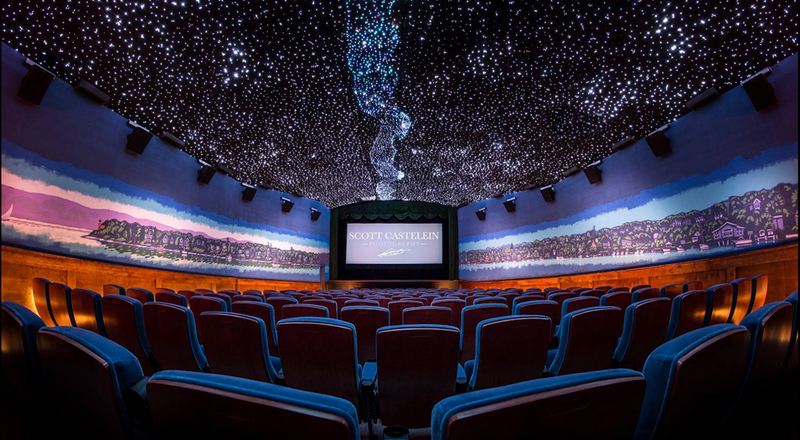 The BL&S team installed and tuned state-of-the-art Dolby cinema sound systems in both theatres, enabling the Coolidge to present a wide variety of product and support live performances. Finally, they installed custom automation systems, enabling a projectionist to automatically run both theatres. During the summer of 2015, BL&S served as Coolidge Corner's supporting partner, screening a 35mm print of The Birds for the theatre’s free film series on the Rose Kennedy Greenway in Boston. Learn more about the free screenings here. View the event video here.